Many website building tools or platforms have been developed over the years, offering great alternatives to established content management systems like WordPress. They come with great and exciting features that make it easier to create and publish content online. If you are still contemplating on which website builder to use, here’s a list of the best website builders you may want to consider. 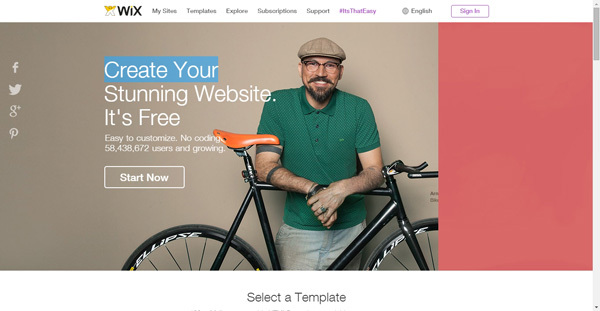 The website creators featured in this list offer excellent features in addition to the abundance of template designs they come with. Of course, this is a blog about templates so we consider the extent of designs or templates offered as a major factor in determining whether a website builder is worth recommending. This is a very important factor. In accounting lingo, the suitable phrase to sum up the need for stability and reliability is “going concern.” This means that there should be a clear indication or a declaration that the site is meant to remain in business for the foreseeable future. There should be no imminent threats to its existence. For this “going concern” to be realized, the website builder should be stable and reliable to be able to attract and maintain a good number of users. 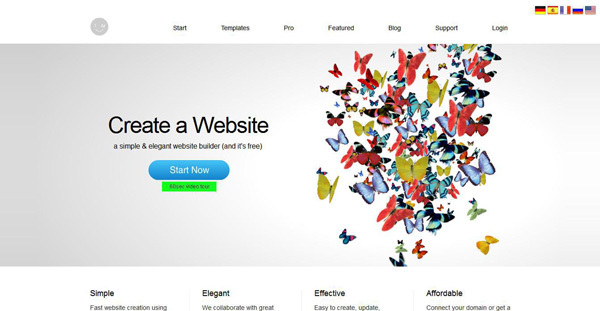 Stability and reliability indicates how serious the makers of the website builder are. There should be no random outages of the site. Its features or functions should not sporadically appear and disappear. It should not suddenly become unavailable or unable to host your project. There’s a reason why established and reliable content management systems like WordPress continue to exist. It is a good sign when the website builder is being periodically updated or when fixes are promptly implemented when there are complaints about some of the functions or features. While many web-based website builders tout that using them does not require any coding knowledge, the underlying codes of the websites created with them actually matter. Many users, obviously, wouldn’t know and care about these codes as long as they are able to create a site via an intuitive interface. However, if you are really serious about your online content publishing ventures, you have to pay some attention to what experts say about the codes. Find some feedback or reviews about the coding of the templates in particular. You can usually obtain feedback on the reliability, stability, and compatibility of the templates available from other users online. Since most web browsers nowadays support HTML5, it will be a good choice going for HTML5 website builders like Wix. Try avoiding those that create Flash sites or feature heavy amounts of Flash elements since Flash is generally perceived to be resource-intensive and may be a big factor in the slower loading time of sites. Certainly, user-friendliness or intuitiveness matters. A good online website creator should be easy to figure out and use. For the most part, there is no issue about website builders having interfaces that are almost identical to or broadly-based on popular web-based software so there’s no reason for website builders to be created with unique interfaces and methods of operation. It’s always good to have an already familiar dashboard or user interface. Drag and drop interfaces like the ones offered by IM Creator are usually preferable. It’s just important to ascertain that the drag and drop interface is well implemented so there are no frustrating hiccups to encounter. The size of the buttons and other elements on the workspace should be well-arranged. You probably need to try the interface yourself to decide whether it’s good or less than desirable. Search engine optimization may sound like something only marketers care about but it should be one of the priorities of every serious online content publisher. Unless you are publishing content that is meant to be private or shared only be an exclusive group of users, search engine optimization should matter to you. Consider choosing a website builder with integrated SEO tools or functions like the ones offered by the aforementioned IM Creator and Strikingly. For the uninitiated, SEO is a standard technique in marketing your content online as well as your business or brand. To not do it is to essentially default from enjoying the advantages of having an online presence. Of course, design and customizability are important points to consider. Who likes building a website that mostly looks like what everybody else has? If you are trying to promote your business or brand online, you have to present a website that is distinctive, something that creates a unique identity. Look at the available templates. You should be able to find one that suits the kind of website you want to create and not mediocre and mundane. If you have some knowledge on coding, you may also want to choose a website builder that supports HTML and CSS coding since this feature gives you almost complete freedom in coming up with truly distinctive designs. Moreover, it is advisable to have a responsive design although it is not a must. A responsive design makes your site easier to view regardless of the device used to view it (smartphone, tablet, or a big-screened laptop or desktop computer). Don’t just pick any website builder by simply skimming through the features listed. Be sure to actually try it to find out if you find them good enough. It’s not difficult signing up for an account anyway. Often, you can find website builders that allow you to sign up for an account using your social media and email login details. Take the points discussed above into account as you choose a WordPress alternative that can satisfy your needs and preferences. Totally agree. Website builders are increasing their features and democratizing the way to create better websites and need to work these issues.